Are you keeping its location a secret? Not at all. Please see update above. Thanks for pointing this out. I too prefer doner kebabs over shawarma any day. While the shawarma normally swims in fat, doner is much nicer, tastier and not chewy. The salad they include in it and the sauces are quite tasty and fresh too. 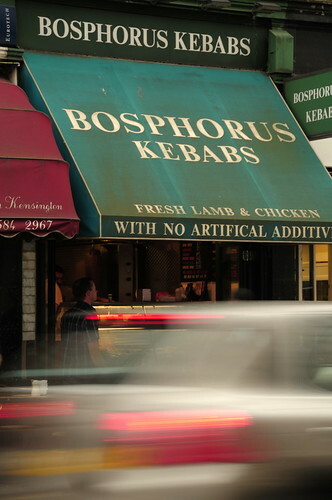 I must make it a point to stop at the Bosphorus doner shop the next time I’m in London!